Showcase Evening, Takapuna Library - 6:30pm, 1st December 2017. Co.Vibe extends a warm welcome to you and your friends to join the celebration of the outcomes from the first ever Co.Vibe event. 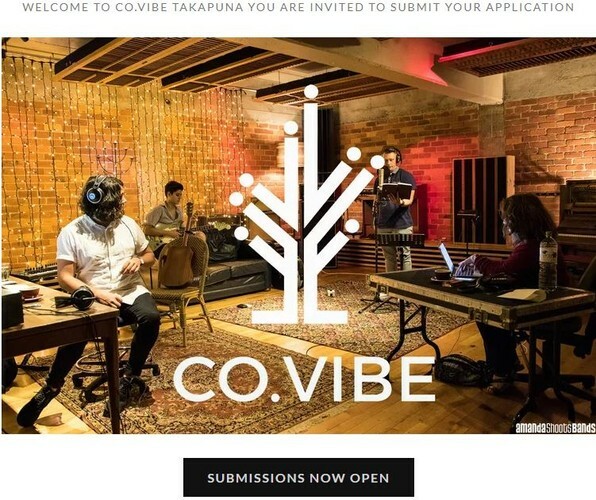 An opportunity to listen to the songs that were co-written by 6 secondary school students and established artists during the two day Co.Vibe workshop. The night will be focused on the current NZ collaborative culture and where it is heading. - Musician & Songwriter, Ciaran McMeeken – "My journey with co-writing." Join the conversation about the power of co-writing and collaboration. There will be light refreshments and an opportunity to connect with your local community.